Joyous! Unexpected! Joyously unexpected! ‘Joyous’ is a word which here means it puts a smile on your face. ‘Unexpected’ is a word which here means out of the norm. 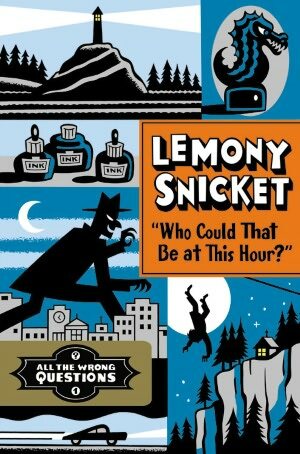 ‘Joyously unexpected’ is a phrase which here means there must be a new Lemony Snicket book published. If the above makes no sense to you, then you have probably never read a Lemony Snicket book. In that case, you should stop reading this review now and go to your local bookshop and rectify that. Let’s face it, Lemony Snicket’s books are aimed at younger readers, but those of us of advanced age can certainly enjoy them. Who Could That Be at This Hour is the first book in the All the Wrong Questions series. This series itself is a prequel of sorts to Mr. Snicket’s most famous books – A Series of Unfortunate Events. But don’t worry, you need not read those earlier books to enjoy this foray into silliness. In Who Could That Be at This Hour, a young Lemony Snicket, who is the fictional narrator of the book written by elder Lemony Snicket begins what appears to be an apprenticeship with a private investigation organization. His mentor is S. Theodora Markson. (Don’t ask what the S. stands for). Their first case involves the recovery of a stolen piece of artwork – The Bombinating Beast. Their investigation takes them to the town of Stain’d-By-The-Sea and causes them to interact with all sorts of strange individuals. While this is going on, the young Snicket is also sending coded messages to a secret someone back home. Who could it be and what does it mean? The text here is accompanied by whimsical wood-block illustrations by Seth. That’s right, no last name, just Seth. Black, white and blue dominate these illustrations (as you can see on the cover) and the gives the whole book a vintage vibe. The story is laugh-out-loud funny. And older readers will catch many of the allusions that the younger set will not. For example, the local taxi service is called Bellerophon Taxi. (Yes, for that reference, you need to brush up on your mythology). Or how about this for a dated reference, the substitute librarian is named Dashiell Qwerty. You can’t take this stuff too seriously. Since this is only the first book in a four-part series, there really are few answers to be had. But since we asked All the Wrong Questions in the first place, that hardly seems relevant. Fans of light-hearted Noir will love this book. What’s that, you’ve never heard of light-hearted Noir? Well then, let me introduce you to Lemony Snicket. I’m so glad you included the picture of the cover. Though I love both my kindle and trees, that cover makes me want to disregard that love and indulge the child-me who just loved the feel of a book in her hands. THANKS! I now have that song stuck in my head. As for the book, the production on the book is very strong. And the illustrations are wonderful. Worth buying in “paper” format for sure. And a great holiday gift. This is an exceptionally well-written review, indicating a familiarity with the author’s work and its potential audiences. I will keep coming back because I can preview books I might not ordinarily select…I gravitate toward creative nonfiction. 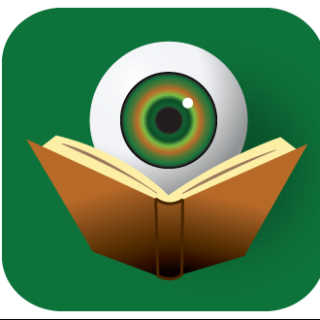 But the more I read your reviews the more I’m tempted to bounce around in the mystery genre. The BOLO BOUNCE!